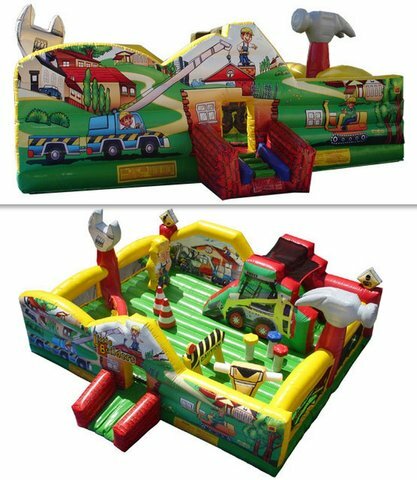 The Little Builder educational inflatable jumper will bring all the little handymen, and handy women, running to catch upon all the fun! This entertaining game offers a climb and slide along with a three-dimensional construction vehicle and caution sign archway for realistic construction play. Kids can choose from other obstacles and fun activities, while imagining operating a crane, installing windows, even roofing the house!